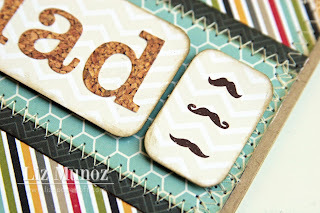 Liz's Paper Loft: Dad Card! Hi Paper Lovers, happy Thursday! I know what you're thinking...she's posted two times this week! I would love to be able to post times a week, but it's kind of like exercise...I don't want to over commit myself! lol! 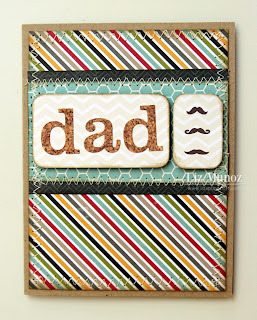 I have a super quick card for you today that I made for Father's Day! I do realize it has past, however I could see this being made for a birthday as well. I used My Creative Time's lowercase fun letter dies, some itty bitty mustache stamps and a bit of ink to create this "clean and simple" card. Did you know that CAS doesn't have to be boring! You can use color if you keep the lines simple. One more thing before I go...If you have been following me for a while, then you know I haven't been posting as much as usual. My life has just become very busy lately which just doesn't allow me to do ALL that I want to do. So in order to keep crafting (which I love) I have decided to give up my little boutique. My boutique has been a lot of fun, however, it's very time consuming. I have learned as I get older, to know when too much is really too much and this seemed like the logical thing to cut from my schedule. I always love it when I hear from you, my customers, "thank you for your fast shipping!". However, I'm afraid that I might not be able to keep up that pace. Thank you so much for all of your support this past year! So as a "thank you" I'm having a closing sale. Use coupon code JULY13 to receive 25% off your entire purchase. Hurry before it's all gone! I hope you'll still continue to stop by my blog for fun projects! Click HERE to go to my Boutique! LOVE your card Liz!! 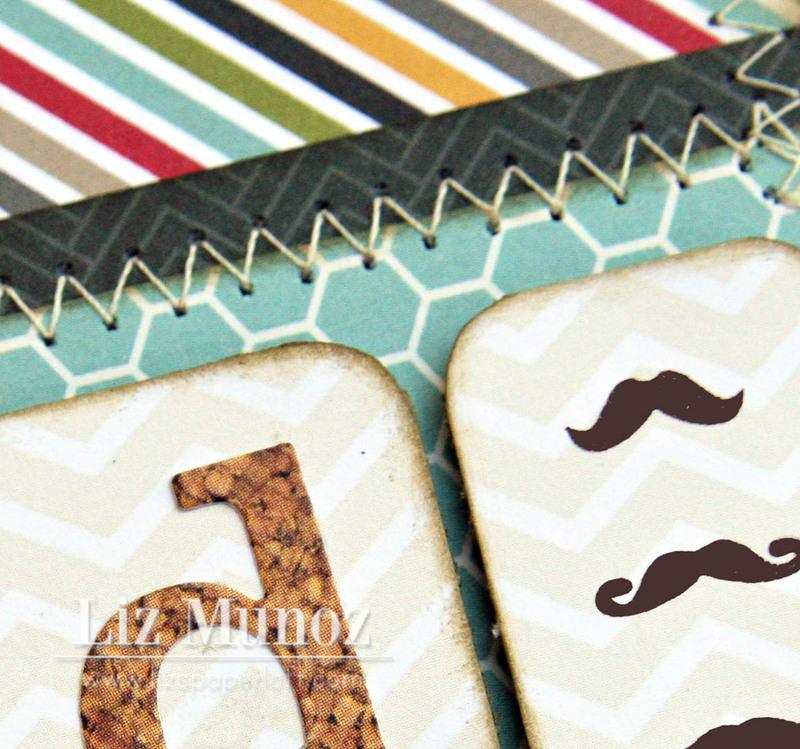 GREAT papers and those stamps and dies look awesome!!! So cute, Liz! I love the little column of mustaches! Liz ~ This masculine card is BEAUTIFUL! I know we shouldn't use that word to describe a "man" card but WOW! Your choice of papers, the stitching and all the MCT products look AMAZING together! As always PERFECTLY done! 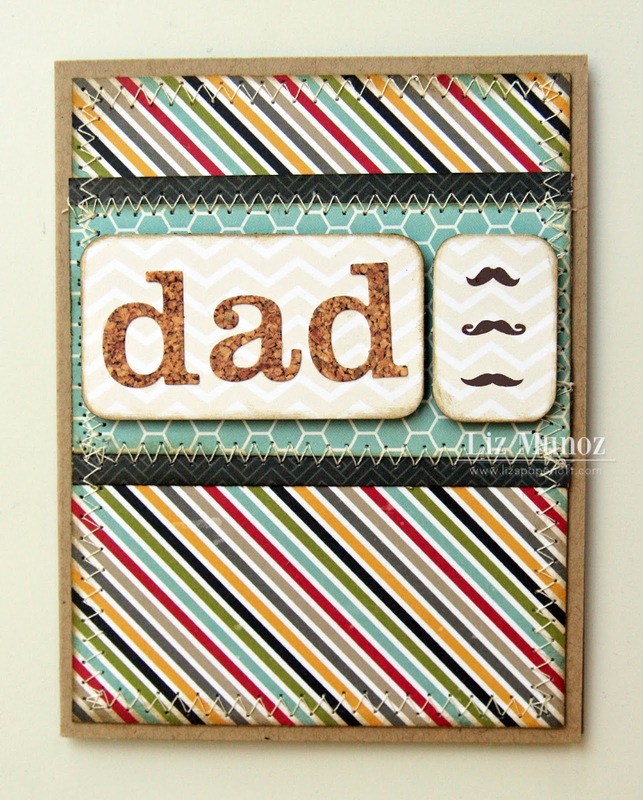 Great dad card! Could be a fun male birthday card, too. The wee mustaches are a perfect touch. Loving this card! Thanks for taking the time to leave the sweet comments on my blog. How nice! 3D Wednesday ~ warm my heart! Scrapping The Little Things ~ Best Friends! Tag It Tuesday! ~ The Best is yet to come! MCT Sneak Peek #4 ~ SMiLe! MCT Sneak Peek #3 ~ Faith in You! MCT Sneak peak #1 ~ Beautiful and Precious!